We are glad to announce the first CISTEM workshop that will be held on Wednesday 27th of March in Novi Sad. 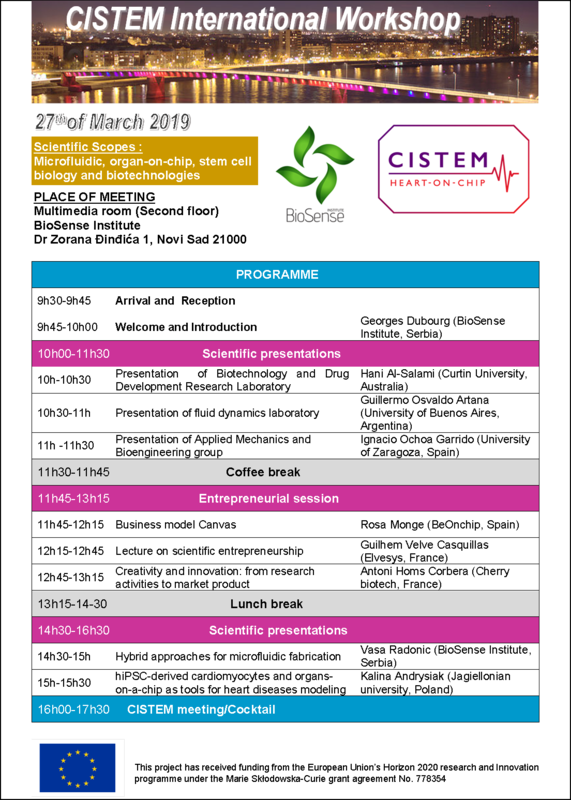 CISTEM Kick-off Meeting was successfully held on 24th of January 2018 at Elvesys, Paris, France. Representative of the consortium organizations including academic institutions and industry representatives were participating in this meeting: BioSense Institute, Elvesys, Cherry Biotech, Universidad Zaragoza, BEOnChip and Jagiellonian University.